Christmas is a magical occasion and with the festive season upon us, Flat Cap Hotels have a packed calendar of seasonal events for friends, family and colleagues to celebrate. From stylish weekend party nights and glamorous New Year’s Eve Gala Dinners, to visits from Father Christmas and a relaxed Boxing Day brunch. 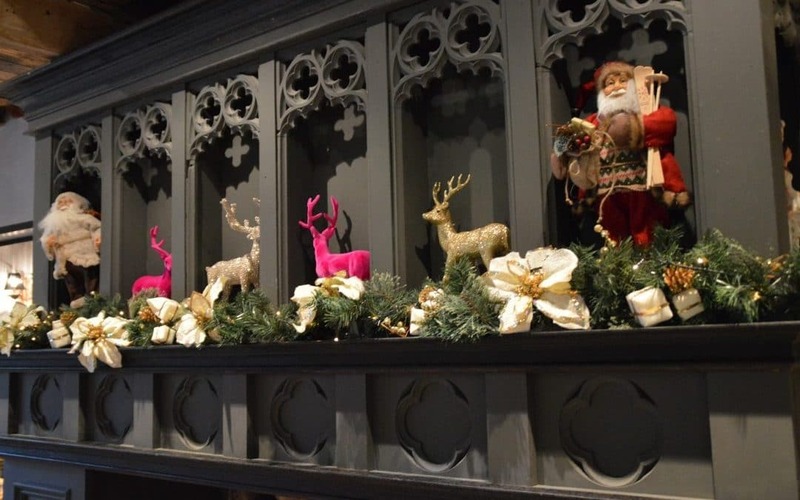 The Grade II listed Courthouse Hotel, Knutsford will be hosting six festive party evenings every Friday and Saturday throughout December. Guests can dine under the huge glass domed ceiling, indulging in a four course dinner with live music in the Barristers Restaurant and Bar, before a DJ takes over and the dance floor opens up for the evening. Tickets are £55 per person. The Courthouse is also available for exclusive use over the festive period, for parties from 5 to 400 for festive party dining in one of the suites. Flat Cap Hotels are inviting guests to celebrate Christmas Day with them. Both hotels are providing a three course dinner with all the trimmings, entertainment and a visit from Father Christmas, starting from £85 per person and The Vicarage from £75 per person. To cure sore heads and reduce the washing up load, The Vicarage is offering a relaxed Boxing Day and New Year’s Day brunch. Starting from £6.95, the menu includes a full English breakfast and Eggs Benedict, steak and chips and the famous Vicarage burger. Glamorous New Year’s Eve events will take place at both hotels and guests are invited to enter 2018 in style and dance the night away. At The Courthouse, guests will enjoy fizz and canapés on arrival, followed by a six course menu and a live band followed by DJ for £85 per person. Those at The Vicarage will enjoy a live band with iconic Motown soul anthems and a five course meal for £75 per person. The Courthouse is also offering an exclusive refined dining option with six courses, fizz and a stunning vocalist for £110 per person. Flat Cap Hotels are a privately owned hotel group, serving British seasonally inspired and locally sourced menus, created by Executive Chef, Steven Tuke. The Courthouse in Knutsford is the latest hotel to open under the Flat Cap portfolio. Before the end of the year, 10 luxury bedrooms will be available in the wings of the building, with a further 40 bedrooms coming online at the rear of the site in 2018. The Courthouse is part of Flat Cap Hotels, a family run hotel group, founded by brothers Oliver and Dominic Heywood in 2015. The Courthouse is located in Knutsford, Cheshire and launched in June 2017. The property opened with Barristers Restaurant and Bar serving premium British seasonal menus, smoothies, cocktails, bespoke tea’s and coffee’s as well as their very own Barristers lager and craft beers throughout the day. The Court Room has now been converted into one of the largest ballrooms in South Cheshire ideal for large events, exhibitions, weddings and conferences with a banqueting capacity for 250 guests. The Rooftop Gardens is to be opened in the coming months providing a very unique cocktail and champagne bar and an additional event space, plus 10 luxury bedrooms coming online before the year end. An additional 40 bedrooms will be added at the rear of the building in 2018.